All writers understand the need for an editor. But most never consider a writing coach. A writing coach can mean the difference in the success of a book, and can also save thousands of dollars in editing fees. We had a lot of fun learning from today’s guest. The conversation included a candid discussion of the pros and cons of writing and the publishing world today, and ended with a surprise exchange at the end regarding vision and aspirations. If you were a serious athlete, you’d hire a coach to take you to the next level and make your efforts amount to something. If you’re serious about writing a book, you’ll enjoy this conversation. Writing can be both isolating, uncertain, and lonely, but it doesn’t have to be. Having someone on your side, guiding you through the rough spots is more than a luxury for the serious writer. It might make all the difference in your success as well as your enjoyment of the process. 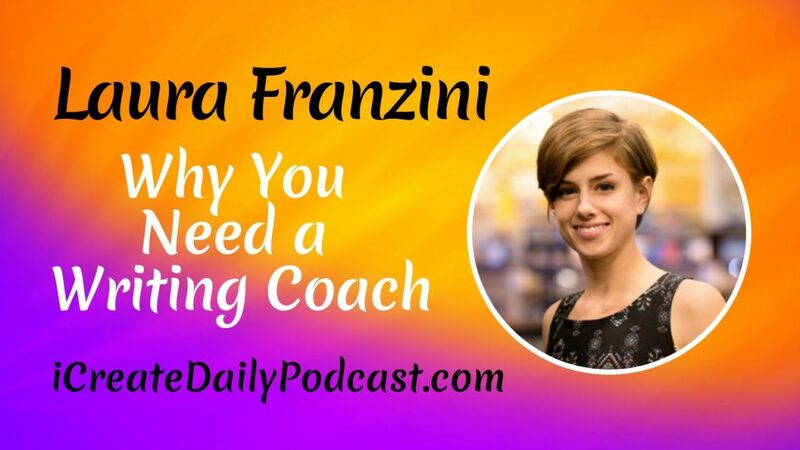 In this episode, we discuss what a writing coach is, and why a writer should consider hiring one, as well as free alternatives to hiring a coach. The delightful Laura Franzini has degrees in journalism and photography and is a former correspondent and copy editor with the Boston Globe and LA Times where she was part of the 2016 Pulitzer Prize-winning team. Today, Laura is the director of programs and partnerships for Author Accelerator, a company of author coaches providing one-on-one coaching to authors. Laura currently oversees all of Author Accelerator’s writing and coaching programs, working to bring writers the support they need from Author Accelerator’s trained expert coaches. Laura lives in Los Angeles where she teaches yoga and eats only plants. Knowing your ‘Why’ slays doubt. Jenny Nash, founder-Author Accelerator’s Creative Live Writing Courses.